​Peter Boylan was named President of Ballard Brands on June 18, 2016. 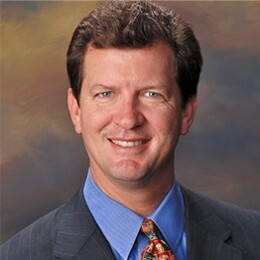 He joined Ballard Brands in 2009 as a member of the company’s Board of Advisors. In 2011, he assumed the role of Chief Development Officer and has expanded the company’s footprint across the U.S. as well as several international markets. Boylan has over 20 years of professional and executive leadership experience in a wide variety of companies including public, private, venture capital and private equity. He earned an MBA from Wake Forest University’s Babcock Graduate School of Management and a Bachelor of Science degree with a concentration in Aerospace Engineering from the U.S. Military Academy at West Point. He is also a decorated combat veteran who served with both the 101st and 82nd Airborne Division. He is currently a member of VFW Post 8973 in New Orleans and has served as Chairman Emeritus for the Board of Bastion, a 501(c) (3) nonprofit organization that is building an intentionally designed neighborhood in New Orleans for returning warriors and families with lifelong rehabilitative needs. Peter is also a board member for the Southern Louisiana Friends of the Fisher House, a 501 (c) (3) nonprofit focused on building a Fisher House for veterans and their families going through treatment at the VA Hospital in New Orleans.